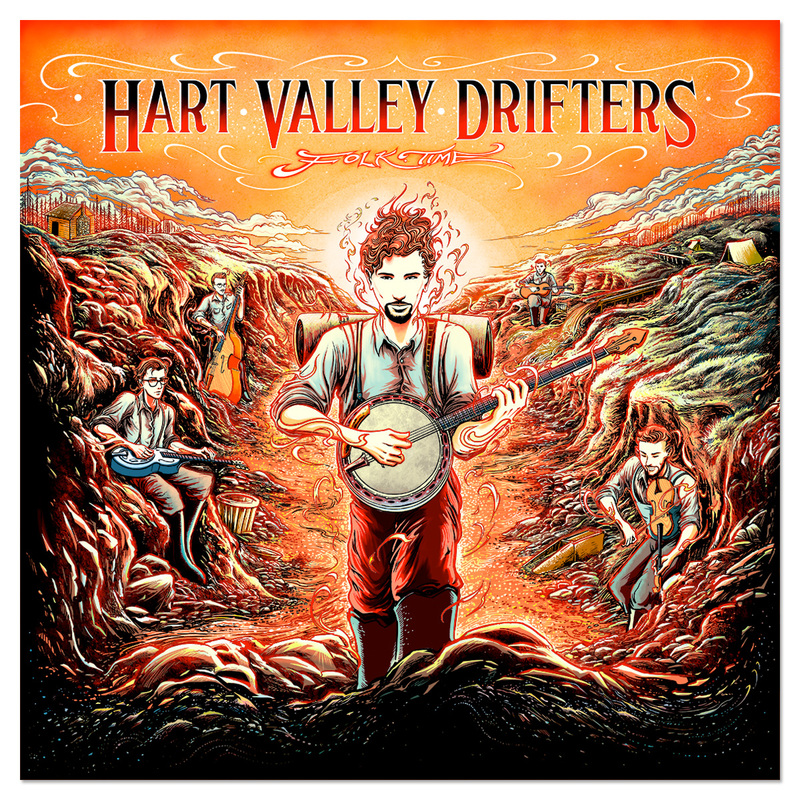 Folk Time showcases Garcia’s folk & bluegrass quartet, the Hart Valley Drifters and holds historical significance as Garcia’s first known studio recording. 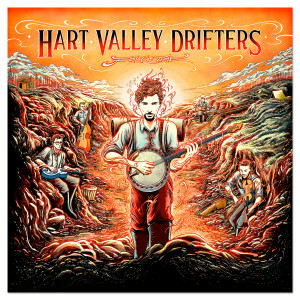 The Hart Valley Drifters was one of Garcia’s early ensembles put together during the folk revival of the early 1960s, but it was perhaps his first band to present a professional level of musicianship and vocal harmony. The group featured a 20-year old Jerry Garcia on lead vocals, banjo and guitar, Robert Hunter on bass, David Nelson on guitar, Ken Frankel on banjo, fiddle and guitar and Norm Van Maastricht on dobro. On Folk Time, Garcia can be heard flexing his vocal muscles throughout, taking the lead on every track. He stands out on the Stanley Brothers’ “Roving Gambler” and “Think of What You’ve Done,” and on “Sugar Baby,” he channels the haunting original Dock Boggs’ vocal while covering the Folkways version by Doc Watson and Clarence Ashley. One of Jerry’s early bluegrass guitar heroes, Carter Stanley, supplies the influence for his guitar The collection winds up with a stunning performance of Doc Watson’s take on the Mississippi Sheiks’ “Sitting On Top of The World” It’s a simple version consisting only of Frankel’s guitar and Garcia’s voice that leaves the hairs standing on the back of your neck. It’s a departure from the recording that ended up on their debut album, but the roots of the Grateful Dead are clearly marked. For more info and the track listing, click Details below. This previously uncirculated recording was made in the fall of 1962 at Stanford University’s KZSU radio station Studio A by Ted Claire. Claire organized the session to capture material for his radio programs Folk Time, the namesake of this release, and Flint Hill Special. The Folk Time session captures an early moment in Garcia’s career when he’d become well educated in American roots music, and was becoming a self-taught multi-instrumentalist. Years before Garcia and Hunter would form their iconic songwriting partnership, and Nelson would co-found New Riders of the Purple Sage, the quartet honed their three-part harmonies and honored the folk revival tradition by performing their repertoire as authentically as possible.